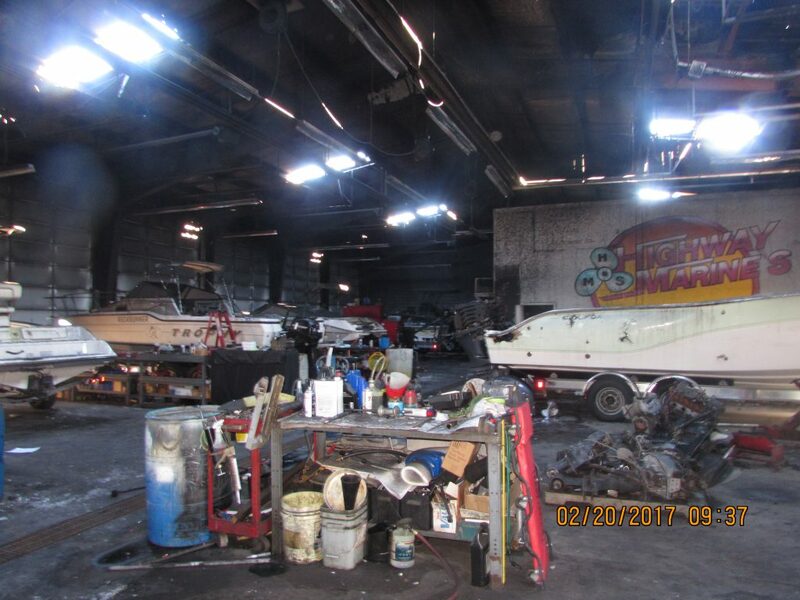 On Sunday 2/19/17 a fire started in the warehouse of this highway marina. One of the boats in the shop caught fire, engulfing the entire boat and creating a massive flame. The flames from the fire jumped onto the ceiling, resulting in a much greater problem. The fire attacked the ceiling and the roofing creating fiberglass laced smoke that billowed out into the rest of the adjoining buildings. Thankfully the fire department arrived before the flames could engulf the entire building. There was nothing they could do though to prevent the massive influx of smoke throughout the entire building. The two buildings, the storage and the show room, sustained heavy damage from the smoke. In the show room, the fiberglass laced soot wore through most of the spare parts and new items the store had in stock. The soot also did a number to the boats on display. Thankfully there was no one in the building at the time of the fire. All of this left the marina in a tricky situation regarding how they would handle the next month. They contacted Cityline Construction for help. 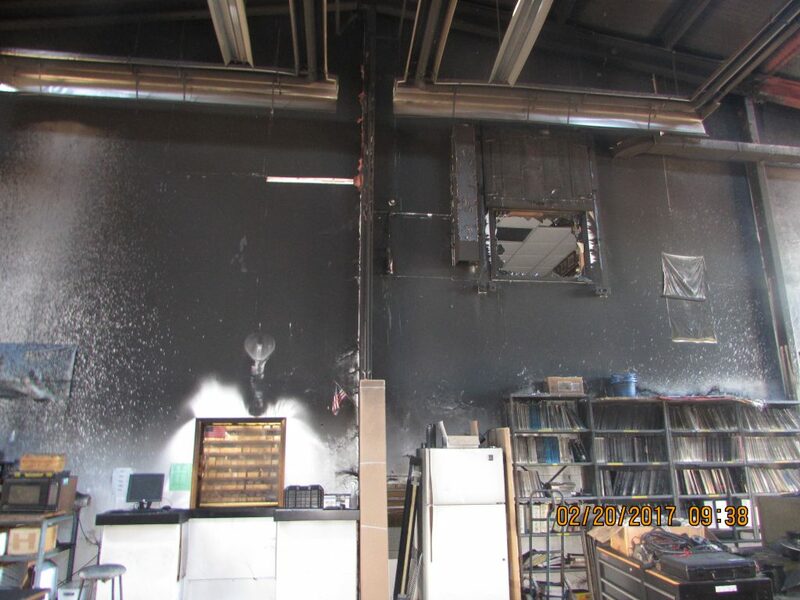 The smoke damage to the roofing was quite extensive and affected the entire building complex as the soot had penetrated deep into the roofing insulation. To prevent any future problems with smell and health it was imperative for us to remove the roof to ensure that the building is safe for all employees and customers. Our crews began the deconstruction process on the building, removing all the damaged materials and making sure what could be salvaged, was salvaged. The fire was initially estimated to take the shop out of business for at least 15 days as all deconstruction work and inspection work was happening. With Cityline running the show, that number was brought down to just 2 days. 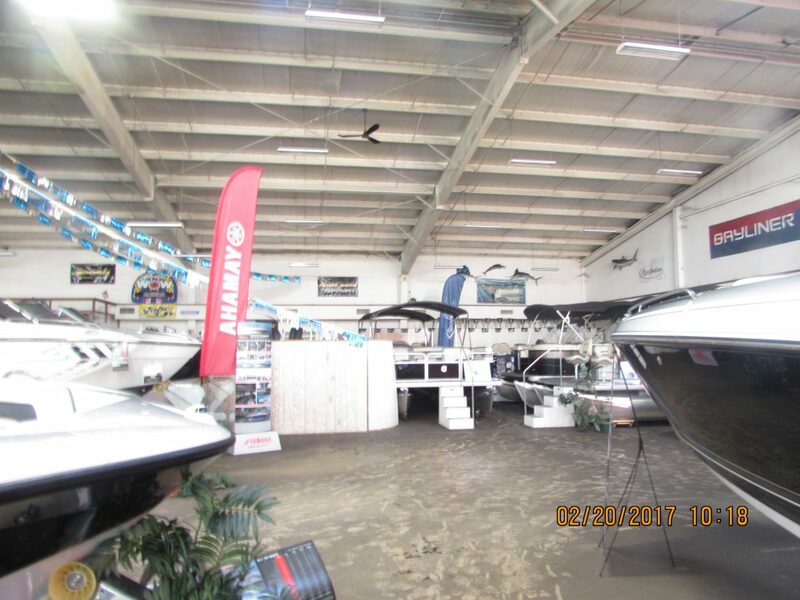 The Highway Marina has been in the Lehigh/Bucks community for over thirty years serving all boat lovers in the area. The Highway Marina has been awarded several times for its service and garners very high praise online as well. This reputation is well earned as we saw first-hand working with the owners and employees. We helped to convert one of their spare on-site storage buildings into a repair shop for the business. We accomplished this by building the HVAC machinery required for the conversion. This created a circulation of air so their crews could work in the building. 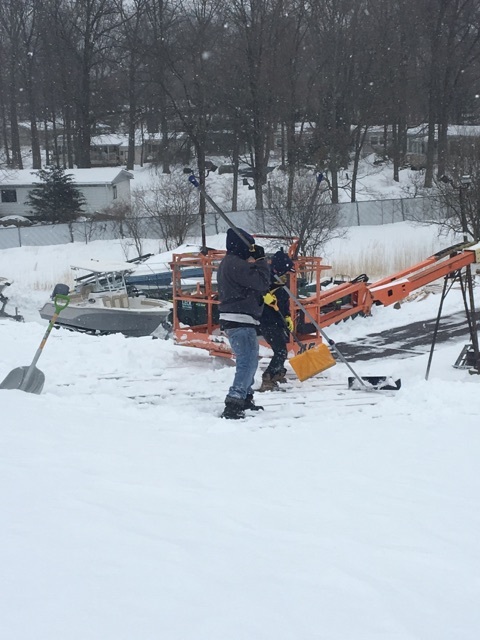 Along with our restoration services, we also had to provide our snow removal services for the Marina. Snow Storm Stella blew into the region March 12th and dumped a little over a foot of snow on the area. Thankfully this was a week before their planned sale-bonanza and we were able to clear out the lot in time for the event to be held. It is important that for each and every one of our clients the impact of the fire in minimal on their daily lives. For the Highway Marina, this meant keeping the impact on their daily business to a minimum. To help them meet this goal we brought in portable offices with computers, electrical setups and internet so they could keep their business open. We worked hand in hand with the owners of the business to make sure that the offices had everything they needed. By doing this we are helping this marina stay above water as the next wave of eager customer’s docked at their shores for the upcoming boating season.